The two things that make drivers hesitate about buying electric cars? Price, and the limited range you're able to drive without stopping for a charge. Plus, charging the battery on an EV takes a hell of a lot longer than checking out all the knickknacks at a truck stop, which makes it a tough sell for road trips, or anything longer than your daily commute. That's where Tesla comes in, boasting pure electric ranges of over 200 miles before you need to recharge, while competitors like the Nissan LEAF barely top 100 miles. Translation: you can leave town in a Tesla and still be OK, and for EV drivers prone to "range anxiety," paying a hefty premium (upwards of $70k for the Model S) for that security seems worth it. Until now. 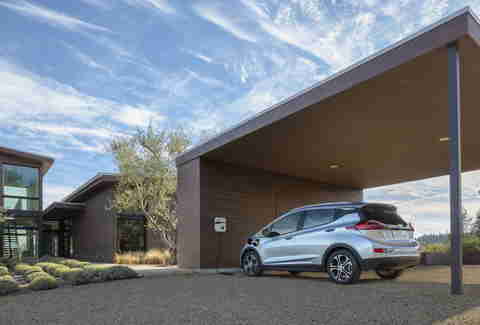 The Chevrolet Bolt has just one-upped Tesla, offering up an EPA-certified 238-mile range on a single charge. That's a pretty big deal. Pricing details aren't yet finalized for the 2017 Bolt, but when they are, it's expected to have an MSRP under $37,500, which means that, after federal credits, you can pick one up for less than 30 grand. That's a full 20% cheaper than the Model 3, Tesla's cheapest offering out for pre-order, immediately putting it in a different consumer category. Not only that, but its very ethos varies considerably from the Model 3: whereas the Tesla is a sport sedan that stakes its claim on being stylish-yet-green, the Bolt's a more practical car by nature, filling the needs of as wide a swath of the market as GM's engineers could realistically reach. These two shouldn't be direct competitors. 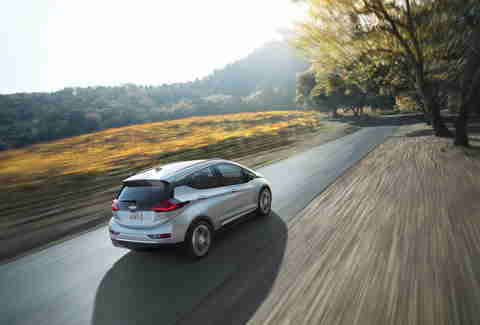 That they're being compared to each other is more a matter of convenience than anything else: they're among the only cars on the near horizon that offer a pure EV experience that you can take on a road trip without fear of being stranded. What separates the Bolt, then, from the rest of the current EV market, is that it's a legitimately useful car, designed to fill the needs of a family and carry all the miscellaneous baggage that entails. While the Model 3 can go almost as far, it's simply not designed to be a practical long-haul vehicle, just as the Bolt isn't designed to be a fun drag-racer when the light turns green. 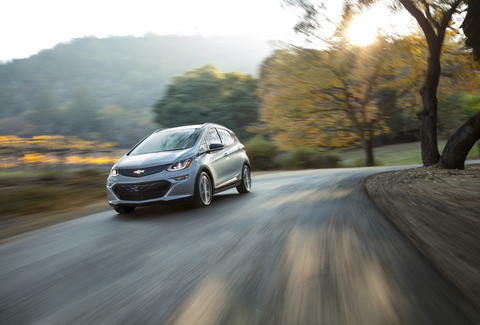 Simply put, the Bolt is set to be the only car you can buy for under $40k that you can load with luggage and drive across state lines, without fear of a prolonged stay in truck-stop hell. Aaron Miller is the Cars editor for Thrillist, and can be found on Twitter and Facebook. He's still waiting for cars that can draw energy from the highway itself.